Apply to Mitchell College for Fall 2019 via the Common App now at https://commonapp.org. 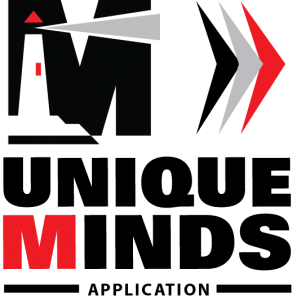 As an alternative to the Common App, you may apply for Fall 2019 via our Unique Minds Application. Unique Minds is a user-friendly application designed to get you through the process even faster! Apply here. 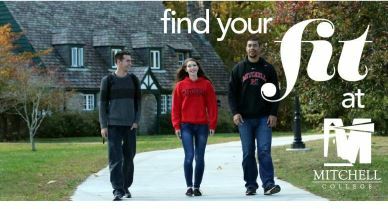 Applying to Thames at Mitchell College for Fall 2019? Thames is a unique transition program on the Mitchell College campus for students who are college able, but not college ready. 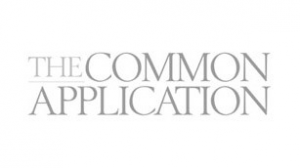 Apply to Thames for Fall 2019 through the Common App. ROLLING ADMISSION – Mitchell College follows a rolling admission policy. Applications will be reviewed as they become complete and decisions will be sent to the applicant within three weeks after review. Application for Fall 2019 via the Common Application OR through Mitchell’s Unique Minds Application. Note: Mitchell College is a “test optional” school. Standardized test scores are not required! International students may apply via the Common App or the Mitchell Unique Minds Application. Please note that in addition to your application, the following additional items are required for all non-U.S. citizens or green card holders. A translated copy of secondary (or higher secondary) schoolwork if originals are not in English. See www.wes.org for credential evaluation. Documentation of English language proficiency. If English is not your first language, you must submit official documentation of English language proficiency. Mitchell College will accept one of the following as documentation of proficiency. The score submission must come from your guidance office or testing service. Advanced Placement International English Language Exam (APIEL) – a score of 3 or higher is required to be considered for admission. Note: Mitchell College’s reference number for the TOEFL and the SAT exam is 3528; ACT is 0572. Declaration of Finances: An affidavit of financial support and official bank statement demonstrating the ability to meet the educational and living expenses (approximately $45,000) required for one year of study in the United States. This must be submitted before an I-20 visa is issued to you by Mitchell College. Please download and mail the International Student Financial Statement Form to declare finances. If you have left Mitchell College for reasons other than an approved leave of absence you must complete the Mitchell College Re-enrollment Application. You do not need to complete any other application. If you did course work at another institution during your absence you need to submit official transcripts from that institution along with your application. How will you find your fit at Mitchell? The campus is so supportive--students, faculty and staff. They are really here to help you and make you the best student you can be.